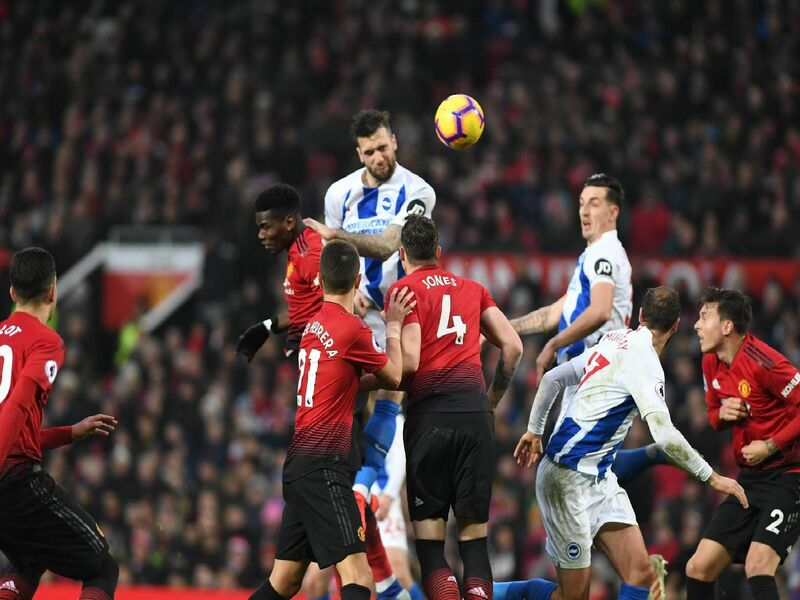 Brighton & Hove Albion produced a spirited performance as they lost 2-1 away to Manchester United in the Premier League this afternoon. Here's how we rated the players of both teams. Goals from Paul Pogba and Marcus Rashford put United 2-0 ahead at half-time but Pascal Gross made it 2-1 with 18 minutes to go. Despite late Albion pressure, the hosts held on to win. Made his fourth successive Premier League start with Mathew Ryan at the Asian Cup. Excellent save to keep it at 1-0 when Martial broke through. Kept Martial quiet for much of the first half but almost allowed the Frenchman in during the opening 45 minutes, however Button came to his rescue. Dependable as ever at the back. Had a header easily saved from Gross corner early on. Solid up against the pacy Rashford. Several interceptions and blocks as usual. Superb tackle to deny Martial at 2-0.